As the Adjoining Owner you are unlikely to directly benefit from your neighbour’s party wall works; in fact, for a short period of time, you may experience some disruption to your daily life and it is possible that your home may suffer from damage as a result of the party wall works. Consequently when you receive notice under the Party Wall Act from the Building Owner you should carefully consider how best to safeguard your home and your rights during the progress of the works. Important! 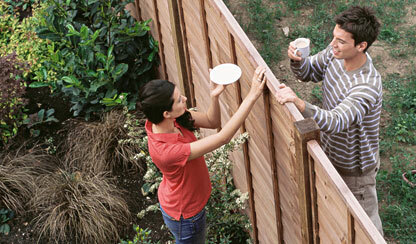 It is important that you receive notification from your neighbour of his intention to build. It is his legal responsibility to serve notice on you to initiate the Party Wall Act. If your neighbour starts a building project without serving a Party Wall Notice you have the right to serve an injunction on him to prevent the construction from proceeding until such time as a Party Wall Notice has been served and Party Wall Surveyors have been appointed for the protection of your rights and property. Once you receive a Party Wall Notice from the Building Owner you only have fourteen days in which to respond in writing. If you have already selected Party Wall Surveyors to act for you then you should pass the notice to your Party Wall Surveyor so that he can check the notice for compliance with the Party Wall Act. Your Party Wall Surveyor may then advise you of the most suitable response and write to the building owner on your behalf. If you have not appointed a Party Wall Surveyor then you usually have three main options available to you, which are detailed below. There are sometimes other options that are available to you, and this list is not intended to be exhaustive. Consent to the party wall notice - this option allows the building owner to get on with his works with no further action required from either party. In this case party wall surveyors are not appointed under the Party Wall Act and your neighbour will not incur any further party wall award costs, however consequences of this is that your property remains unprotected by the party wall act. I would advise that even if you are friendly with your neighbours that you dissent the notice until such a time as a party wall award has been completed. This will enable you to have your say and prevent damage to property, should damage occur in compensation would already be written into the award. Dissent from the party wall notice - This option means that a difference arises between the parties and requires both parties to appoint party wall surveyors. This person may be the same party wall surveyor or two different party wall surveyors. In most cases the party wall surveyors will examine the proposed plans, check the engineer's calculations, and make an initial assessment of likely impact of the party wall works. The party wall surveyors will then usually prepare a report of the adjoining owner's property before Party Wall Act works start. Before the work begins the party wall surveyors will produce a detailed legal document called a party wall award. The party wall award extends specific protections and rights to both parties, which are determined on an individual basis. During the progress of works the party wall surveyors will generally return to both premises to check the party wall works are being conducted in accordance with the terms of the party wall award. Finally the party wall surveyors will return after the completion of the party wall works to check whether there has been any damage to the adjoining owner's property. In most circumstances, if you do nothing for more than fourteen days after you have received a party wall notice then a difference is deemed to have arisen between the parties and the same procedure applies as detailed in option (2) above. Where a difference is deemed to have arisen, and before party wall surveyors produce the party wall award, both parties may jointly agree to settle any outstanding matters between them without the need for a party wall award. In this case the building owner will usually still be liable for all reasonable party wall costs incurred up to the date where the parties notify the party wall surveyors of their intentions. The Building Owner is legally obliged to pay for the cost of the award and all things party wall related unless agreed otherwise.